Subtitle: This Unilateral Disengagement plan may be exactly the kind of scenario by which the Israeli government can discredit and persecute settlers -- most of whom are Religiously Observant Jews! Just as the 1991 Plan calls for. Current news coming from Israel sounds like the nightmare scenario few people ever believed could possibly happen. After years of complaining about those terribly disliked Religiously Observant Jews, the Illuminist government of Israel may be about ready to deliver a body blow against them as they force them out of their settlements and off their land. The trick to discredit the settlers as they resist being forcibly evacuated is to not kill a lot of them. If the Sharon government can avoid large numbers of bloody confrontations, they can make the settlers look terrible in the eyes of a secular population of Israel, who already despise the religious Jews. Let us go back to the point in time when I first learned of the strong dislike of the Israeli authorities for Religiously Observant Jews. The time was August 18, 1991, when I was sneaked into a seminar for members only, at the Boston House of Theosophy. The New England Director had just returned from a 3-year stint in Jerusalem, working on a committee planning the transition to an Israel fully submitted to the global community, i.e., under the expected Jewish Messiah. Listen to his words as he explains the particular part of the plan to discredit the religious Jews and permanently remove them from the corridors of power. Notice that the Illuminati considers the "religious problem" to be so severe that they needed to individually address the issue, with all the power, skill and cunning of the Israeli government. Their plan is to cause the decline of the power and influence of the religious Jews through a long period of "general fear of war". Certainly, the steady stream of Palestinian terrorism has provided this "general fear of war", and now the Israeli government has the opportunity to wage indirect war against the religious settlers through Sharon's Unilateral Disengagement plan. Current news tells us that this plan is now well under way. Listen as the Sharon government sets the legal framework. "JERUSALEM -- The government of Prime Minister Ariel Sharon this week insisted Judea, Samaria and the Gaza Strip (Yesha) were under belligerent Israeli occupation as it worked to thwart a High Court petition by Jewish settlers, stating their rights were to be violated by the 'disengagement' plan. The Jews of Gaza and northern Samaria insists their basic human right to live where they choose without regard to religion or race would be violated when Sharon's government comes to forcibly uproot them this summer." "But state representatives ... wrote that 'the areas of Judea and Samaria and the area of the Gaza Strip have been held by Israel since the Six Day War and until today, in belligerent occupation'. As such, the settlers have 'no grounds for claiming today that they thought they were going to live within the boundaries of the State of Israel when they took up residence in these areas, explained the two attorneys." In effect, the government of Israel is saying that, since it has been governing this territory militarily under the state of "belligerent occupation", the Jewish settlers cannot claim their normal rights to live within Biblical Israel. Thus has the Sharon government set the legal stage to oust the Jewish settlers. Now, let us review another story which has even greater implications for this struggle between Israeli authorities. "Israeli prison initiates special 'Withdrawal Ward' that could house up to 900; reserved for people arrested during protests of Sharon's pullout plan. Protesters of Prime Minister Ariel Sharon's pullout plan will have their own designated section in one of Israel's prisons should they participate in violent clashes with police, Israel Prison Service officials said ... Police "initiated" the ward in Maasiyahu prison in the town of Ramle, which they said would soon receive 42 right-wing activists who were arrested on Tuesday when they blocked several major roads with burning tires - a new tactic ... more than 900 beds have been moved inside to receive more protesters arrested for violence ahead of the pullout ... Jewish settlers, who view the West Bank and Gaza as their biblical birthright, have vowed to do everything to stop the withdrawal, with some threatening to use violence. The suspects’ lawyers, Cynia Mozes-Harizi and Adi Kader, said the arrests were made to silence the demonstrators and that attempts to increase steps against them would fail." The idea that Jewish authorities would even contemplate fellow Jews for no other reason than because the settlers are protesting being thrown out of their communities and homes by a government who was encouraging the settlements just a very short time ago, is almost unthinkable. In light of the Nazi Holocaust, this possibility that a Jewish government could marginalize their own citizens and then send them to a prison camp, is almost unthinkable. Is there a deeper reason the current Illuminist government of Ariel Sharon is interested in discrediting Orthodox, Observant Jews in this current time frame? Yes, there certainly is. When Antichrist arises, the Orthodox Jews will be leading the charge to insist that Israel not accept him immediately as the Messiah for whom they have long been awaiting, but to wait to see if he systematically "fulfills" all Old Testament Messianic prophecies and Talmudic expectations. In other words, Orthodox Jews could hold up the entire process of Messiah "confirming the covenant" with Israeli leaders, an act which the Bible says is the beginning of the Tribulation Period (Daniel 9:27) and which the Illuminati considers to be the first 7-year segment of their Christ's 1,000-year reign (Peter Lemesurier, "The Armageddon Script"). For this last reason, the Illuminati wants to decrease the power and influence of the Orthodox Jew as much as possible, so they will exercise the slightest restraint on their Masonic Christ when he finally appears East of Jerusalem, claiming to be the Jewish Messiah. Since we believe we are so very close to the time when the Final Birth Pangs war is to begin, we should not be surprised to see the Israeli government beginning a campaign to discredit Orthodox Jews, even if they have to resort to official lying, exaggerations, and hyperbole. Ideally for Prime Minister Sharon, his controversial Unilateral Disengagement Plan seems tailor-made to discredit Orthodox Jews, because they were very angry at the prospect of being forcibly removed from their hard-won settlement outposts. Therefore, we have witnessed the emergence of a deliberate Israeli government scheme to discredit these observant Jews; most of the stories shared the same tell-tale sign that the report was bogus as has accompanied many of our fake terror alerts, i.e., "no specific intelligence exists". The first warning occurred in early July. "Right-wing activists are becoming more and more extreme, the head of the Shin Bet security services, Avi Dichter, warned the cabinet ... Dichter told the ministers that right-wing extremists recently attacked a lieutenant colonel as he walked through Jerusalem with his wife because he had helped dismantle the synagogue at the illegal ... Justice Minister Yosef Lapid said in response that the far-right currently feels as though it can do whatever it wants, after the police failed to arrest the former director of the prime minister's bureau, Uri Elitzur, who called on settlers to violently resist the evacuation of outposts and settlements ... The news led Attorney General Menachem Mazuz to call for a meeting in the coming days to discuss the policy of filing indictments on the issue of incitement to violence." These charges are very serious, but the news report gave no specifics except for for the supposed attack on a "lieutenant colonel" who had helped dismantle a synagogue. However, no specific name of the "lieutenant colonel" was given, thus casting doubt on the veracity of the report. Remember the lessons the United States government has provided the world -- in instances such as the Gulf of Tonkin Resolution, Waco, Oklahoma City, and 9/11 -- that it will create the very disaster which will then give it the public backing it needs to carry out the next step in their plan. Jewish journalist, Barry Chamish, demonstrated powerfully that the Israeli Shin Bet Security Service was the most likely suspect in the murder of Prime Minister Yitzak Rabin ("Who Killed Yitzak Rabin", book by Barry Chamish). Given the hyperbole which you are about to see over this "Right-Wing" threat, another staged assassination of a prime minister or other high aide might be in the offing; certainly, such a high-profile killing would give the government all the authority and public support it would need to forcibly and quickly effect Sharon's Gaza retreat plan. On the next day after Avi Dichter of Shin Bet completed his incendiary remarks to the Cabinet, the leadership of the settlers struck back. As you read this article, however, note that, before the story gets to the denial by the Rabbis that the Far Right posed any problem, you are told how serious this problem was and how the government was taking steps to combat it. The former deputy head of Shin Bet even called the followers of the Far Right "insane" -- twice! "Settlers and right-wing politicians attacked reports of a rise in extremism on the Far Right made this week to the cabinet by Shin Bet head Avi Dichter, as centrist and left-wing politicians called for immediate action to combat the trend. The Knesset will hold a special hearing Tuesday on the issue of 'incitement to violence'. Attorney-General Menachem Mazuz will also hold a special meeting on the issue this week. Minister-without-Portfolio Gideon Ezra (Likud), former deputy head of the Shin Bet, said Monday that immediate steps had to be taken against extremism. Ezra said that there were those on the right who were liable to misinterpret recent statements by rabbis and act in irresponsible and 'insane' ways. Ezra said that security forces should identify and act against potentially violent opponents of the disengagement plan and keep them from carrying out 'insane acts'." Such words serve only to inflame the debate, on both sides. Of course, if the Sharon government really wanted to thoroughly discredit the Far Right Orthodox Jew, its officials would want to deliberately inflame the debate. Such fiery rhetoric will only serve to heighten public concern and consciousness, so that, if an assassination or an attempted assassination could occur, the public would immediately know whom to blame! Now, finally, a spokesman for the rabbis gets his chance to speak. When the citizenry blindly follows its leadership and accords its officials almost god-like status, then an official can step to the microphone to inform Cabinet officials of a "serious threat", even though he presents little to no evidence. We see this sad situation in America, do we not, when the Director of Homeland Security and/or the Attorney General stands repeatedly at the microphone, warning of dire, immediate threats to our national security -- but will admit when pressed that they have little to no intelligence upon which to base the false threat declaration. Exactly! The Shin Bet statements were very vague, backed by no evidence, and painted every settler with the same broad brush! Of course, when a government agency wishes to move against an entire group, they will issue vague, broadly based statements. 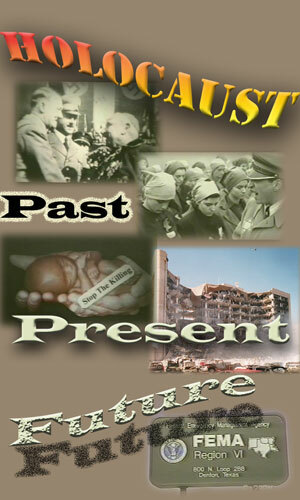 Adolf Hitler was a master of this tactic, using it well -- against the Jews of Germany and Europe. In fact, the only real substance in this debate occurred last month when another Rabbi attempted to rhetorically strike out at the forced resettlement issue. This statement was probably the basis for the Israel government campaign to discredit the Far Right Wing. Immediately, however, another Rabbi contradicted this statement, as settlers spoke out in their defense. Therefore, the seemingly incendiary statement of one Rabbi is more than canceled out by the opinion of 14 Rabbis. Further, the settlers weighed in heavily on the issue. On July 8, Jerusalem News Wire noted that efforts by the Sharon government to "demonize" the settlers was gaining momentum. "Members of the Sharon government and leftist Israeli media have accelerated efforts to demonize the right-wing settler movement ahead of the prime minister's plan to forcibly uproot the Jews of Gaza. Recent reports abound with allegations that persons associated with that sector of society are planning to assassinate Sharon and start a civil war. Right-wing commentators responded ... by noting there was not one shred of evidence supporting the notion of violent extremism, and said the settlers were being unfairly indicted for trying to defend their homes and the right of Jews to live where they choose." We could not have stated the key part of this media campaign more succinctly! In the area of propaganda, the BIG LIE reigns supreme. In fact, when the lie has no basis in actual evidence, rhetoric has to reach even higher, achieving even more shrill levels. An "unnamed" security source confirmed this assessment. On the day after Shin Bet Security Chief Dichter told ministers of the "extreme threat", another Sharon government official actually used the word, "assassination". Matters then simmered along for a couple of weeks while news headlines were dominated by Arafat's drive in the Gaza Strip to impose his own will and rule before the Israelis withdrew. But, on July 20, Shin Bet Security Director Dichter struck at the reputation of the settler's again. "Dichter also told the MKs that the Shin Bet has a list of between 150 and 200 Jews who are hoping for the death of Prime Minister Ariel Sharon ... most of these individuals live in West Bank settlements and a smaller number live in the Gaza Strip. He said some of those on the list are described as 'hilltop youth', young settlers who are extremist in their beliefs and actions." For the first time, Dichter actually gave some specifics as to who these "dangerous extremists" were and where they lived. Surely, these specific details were added to increase the credibility of the government's accusations. However, when I was in training to be a Manufacturer's Representative, I was warned that, if I were to be truly credible when lying, provide no specific details. Liars love to provide details, and professional Retail Buyers know it; thus, a smart liar will avoid specifics at all costs! By this criteria, Avi Dichter is not an accomplished liar, or he assumes his listeners will not be perceptive. Later in this article, an MK took this discrediting campaign to a new and higher level. "Yatom said he took Dichter's remarks very seriously but added that 'an anonymous, lone Jewish assassin is more dangerous than a violent group that is recognized and being followed' by the authorities. Yahad MK Avshalom Vilan called on Attorney General Menachem Mazuz to investigate and administratively detain, if necessary, any Jewish citizens who pose a risk to the prime minister." Now, we are getting closer to a real-life crisis in the Jewish state. For the first time in this discussion, we have seen a call from a Minister of the Knesset to arrest ("administratively detain") any Jewish citizen who might pose a risk to the prime minister. The term, "administratively detain" is usually employed when authorities do not have enough evidence to press criminal charges; however, in too many times in history, "administrative detention" turns into longer and longer prison time. MORE SERIOUS CHARGES - JEWISH EXTREMISTS ARE SAID TO BE PLANNING TO BLOW THE DOME OF THE ROCK! Suddenly, this campaign to discredit the "extremist Right Wing" took on an unexpected turn. New stories began to appear warning that Jewish extremists might be planning to blow up the Muslim Dome of the Rock on the Temple Mount. Listen to this unbelievable smear campaign. This allegation was made by one of the Sharon officials whom we quoted earlier -- Internal Security Minister Tzahi Hanegbi -- warning about extremists who might try to assassinate a government official. "A day after Internal Security Minister Tzahi Hanegbi warned that Jewish extremists could be planning an attack against Arabs on the Temple Mount, Jerusalem Police and Islamic Wakf officials on Sunday increased security checks at the site, and police considered whether to restrict an Israeli fringe group from entering it this Tuesday ... Despite the reopening of the Temple Mount to non-Muslims 11 months ago, the ultra-nationalist group has been repeatedly barred by police from entering the holy site in the wake of last-minute security considerations made by the police commander on site, group leader Gershon Solomon said ... Meanwhile, the uproar continued in Israel over warnings made by Hanegbi Saturday night that Jewish extremists could be planning an attack in the Temple Mount to torpedo Israel's planned unilateral withdrawal from the Gaza Strip." Notice the inflammatory words: "extremist and fanatic Jewish elements". This admission is simply disgusting and reprehensible ! After savaging patriotic, law-abiding Far Right Jewish citizens for weeks as to the "extreme threat" they posed to the Jewish State and to its elected officials, the Interior Security Minister then admits he has no evidence -- absolutely not one shred of " intelligence information" which might identify who might be planning such an attack. For that matter, it is highly doubtful Hanegbi has credible evidence that any such attack is planned, period. Three days later, on July 28, the Arab press picked up this mantra and warned that any attack on the Al-Aqsa Mosque (Dome of the Rock) would bring all-out war against Israel. Now, we can see the situation has developed that, when something happens to the Dome of the Rock, Muslims will believe automatically that Jewish citizens carried out the attack, simply because the official Israeli government said such extremists were planning it. 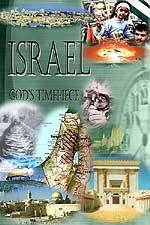 Make no mistake about the fact that the Dome of the Rock is going to come crashing down. 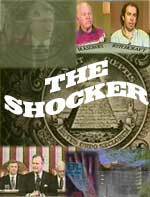 New World Order writer, Peter Lemesurier, noted that the Illuminati plan to produce Antichrist and to present him as the Jewish Messiah called for a destruction of the Dome of the Rock. However, the Palestinians might be the ones who actually carry out the deed. In NEWS1429, we note that a young Arafat was blackmailed by the Russian KGB to become the leader of Palestinian Liberation Organization (PLO) in 1968, threatening to reveal his flaming homosexuality. This revelation means that Arafat was controlled by the Illuminati, even more tightly than Israel is controlled by the Western Illuminati. Would you be surprised to learn that Arafat let it slip in early September, 2000, on CNN, that he was planning to blow up the Dome of the Rock? We report on this most interesting fact in NEWS1404. We encourage you to read this article thoroughly, for it reveals much of the plan to destroy the Dome of the Rock so that World War III will immediately erupt. But, why should we be surprised, for we have been warning for over one year now that the overall plan in Iraq and throughout the Middle East seems to be along the line of the Illuminist doctrine known as "Blood In The Streets". According to this strategy, the inferior forces of the Muslims will be deliberately provoked to war against the admittedly superior Western forces, thus giving those Western forces the opportunity to annihilate both Muslim armies and Muslim populations. This strategy is responsible for the awful torture and sexual degradation prison scandal in Afghanistan, Iraq, and Guantanamo Bay prisons, where each specific humiliation was aimed at a specific sensitivity produced by Muslim belief. We have deliberately provoked hundreds of millions of Muslims through this scandal; however, leaders of moderate Arab governments have been able to quell their restive Islamic people, knowing they would have no military chance of victory. However, if the Dome of the Rock blows up or otherwise falls to the ground, Israel will be blamed and no moderate Arab leader will be able to withstand the resulting popular tidal wave. Jews will be blamed for the demise of the Dome of the Rock, no matter how it falls down. And, why shouldn't Jews be blamed, for the Sharon government has already pronounced them guilty in the court of world opinion! Prime Minister Ariel Sharon seems more determined than ever to get strong public opinion behind him in his unilateral disengagement -- unilateral retreat -- from Gaza and some portions of the West Bank. However, powerful political and religious forces are mustering against him for bitter battle. Religious forces are especially powerful foes because they are implacable, as they base their opposition on the ancient Hebrew Scripture we Gentiles popularly call The Old Testament. 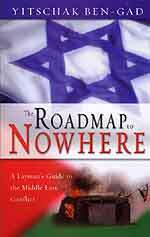 How can Sharon galvanize the great majority of Jewish citizens to support his retreat plan? All he has to do is to engineer a crisis, just as the 9/11 attacks served the Illuminati well in America. If he suffered an assassination or an assassination attempt, his plan could go forward with his successors at the helm. If one of his ministers were assassinated, he could go forward with his plan. And, if the Dome of the Rock were to be blown up, hit with an airplane, or simply fall to the ground, Jewish extremists would be blamed. Sharon could go forward with his withdrawal plans and begin to prepare Israel for the prophesied annihilation of the Palestinian people (Read NEWS1422, NEWS1620, and NEWS1625 for full details). Truly, world events are propelling us ever closer to that planned "Final Birth Pangs War" of Matthew 24:6-8, that World War III which will "give birth" to Antichrist. Israel is the key. Are you spiritually ready? Is your family? Are you adequately protecting your loved ones? This is the reason for this ministry, to enable you to first understand the peril facing you, and then help you develop strategies to warn and protect your loved ones. Once you have been thoroughly trained, you can also use your knowledge as a means to open the door of discussion with an unsaved person. I have been able to use it many times, and have seen people come to Jesus Christ as a result. These perilous times are also a time when we can reach many souls for Jesus Christ, making an eternal difference.